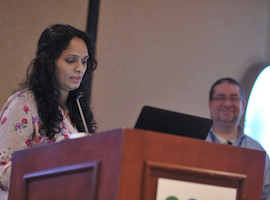 Don Raab and Aditi Mantri explain the approach they have taken in developing Java code Katas, and discuss best practices around them. Jeanne Boyarsky reviews code examples of the new features in Java 11, and also features of Java 10. She also discusses the impact of the new Java release train on production code. Richard Warburton explains how to make effective use of Generics. Warburton sheds light on the planned changes in Java 10 using practical code examples at every step.